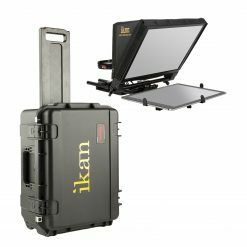 HOUSTON, Texas, (August 9, 2017) – Ikan announced today the release of its highly anticipated DS2 and DS2-A gimbals as a follow-up to the popular Ikan Beholder DS1 gimbal stabilizer. With an innovative compact design, these gimbals add a new level of control with its 60 second auto-sweep feature. In addition, the DS2-A's angled motor arm provides a clear view of the camera screen. The 3-axis gimbals are built from aluminum and designed specifically for professional filmmakers looking for a single handheld stabilizer for a large range of DSLR and mirrorless cameras weighing up to 4 pounds (1.8 kg). The gimbals have a 360 degree rotation brushless motor on the yaw axis for a higher range of mobility. 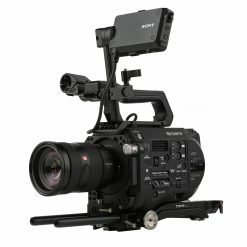 In addition, the new gimbals feature a 32-bit controller with a 12-bit encoder, making it faster and easier to balance. The new 60 second auto-sweep mode allows you to program a 60 second camera movement. After setting the start and end points, the camera will move from one point to another in a 60 second time frame. Equipped with lithium battery power, the gimbals have 8-10 hours of battery operating time. 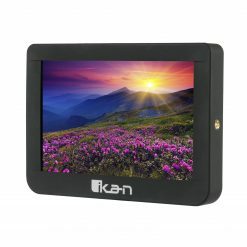 A display screen located on the handle conveniently provides you with the battery life and current operating mode. With a newly designed quick-release baseplate system, the gimbals are easy to balance without any tools. 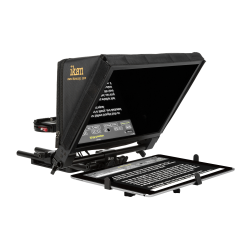 The handle comes with two 1/4-20 mounts that are perfect for mounting accessories such as a light, microphone, or monitor. A 3/8-16 thread located on the bottom allows you to securely mount the gimbal to a tripod, jib, or dual handle support system such as the Ikan DGH. The DS2 works great for videographers, independent filmmakers, and cinematographers who need a compact gimbal solution. 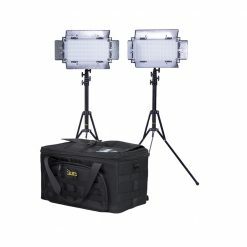 The DS2-A is suitable for event videographers and vloggers. “Ikan designed these gimbals to expand the operator's creative tool set with a calculated automatic camera movement feature called the Auto-Sweep. Due to user feedback, the DS2-A provides an unobstructed view to the camera screen, which gives you quick and easy access to your camera's controls. Both features give users more creative freedom.” says Julio Ramon, Product Manager. 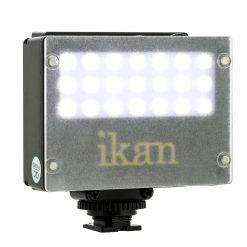 For more information on the DS2 and DS2-A, check out ikancorp.com.